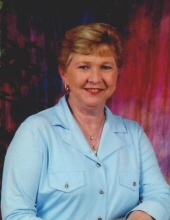 Mrs. Pat Ruth Stowe Moore, age 64 of Pineview Road, Toccoa entered into the presence of her Lord on Thursday, January 17, 2019 at the Northeast Georgia Medical Center after a very brief illness. A daughter of the late Rev. J.W. and Mozelle Looney Stowe, she was born February 22, 1954 in Stephens County, Georgia where she lived the greater part of her life. She was a 1972 graduate of Stephens County High School and was retired from Pruitt Pharmacy as a pharmacy tech with 16 years of service. Prior to her employment with Pruitt Pharmacy, she and her husband Garry owned and operated Moore’s Produce. She was a member of Shiloh Baptist Church. She was a loving wife, mother, mother-in-law, sister, grandmother, great-grandmother, aunt and a loving friend to many. In addition to her parents, she was preceded in death by her brother-in-law, Rev. Walter Gilbert and by her sister-in-law, Susan Stowe. Survivors include her husband of 38 years, Garry Moore of the home; son and daughter-in-law, David and Mandi Rider of Toccoa; grandchildren, Ruthie Rider, Harley Rider, Kaylie Williams, Benny Williams and his fiancé`, Tiara Kennedy; two great-grandchildren, Jaxon and Aiden; two brothers and sisters-in-law, Rev. Tommy and Marsha Stowe of Mt. Airy and Rev. Jerry and Erlene Stowe of Homer; three sisters and brothers-in-law, Jannie Gilbert of Stone Mountain, Linda and Larry Haley of Hartwell and Judy and Dennis Thomason of Eastanollee; brother-in-law and sister-in-law, Rodney and Edna Moore of Toccoa; sisters-in-law, Jean Cash and Catherine Fry both of Toccoa; a number of nieces and nephews. Memorial services will be Sunday January 20, 2019 at 1:30 P.M. at the Hillcrest Chapel of Acree-Davis Funeral Home with the Reverend Jerrell Beatty and the Reverend Roger Whiten officiating. The family will be at 2359 Highway 145, Eastanollee (her childhood home) and will receive friends at the Acree-Davis Funeral Home on Saturday January 19, 2019 from 4 P.M. til 8 P.M.
Acree-Davis Funeral Home is in charge of arrangements for Mrs. Pat Ruth Stowe Moore. To send flowers or a remembrance gift to the family of Pat Stowe Moore, please visit our Tribute Store. "Email Address" would like to share the life celebration of Pat Stowe Moore. Click on the "link" to go to share a favorite memory or leave a condolence message for the family.